What are the most popular online bachelor's degrees offered in Oklahoma? In a recent report, the Oklahoma State Regents for Higher Education identified a need to increase the number of postsecondary degrees awarded annually, and one of the major proposed solutions was the strengthening of pathways to certificates and degrees. The state has followed through with this commitment by offering benefits specifically for online learners. Because Oklahoma is one of 16 member states on the Southern Regional Education Board (SREB), resident students have access to the Academic Common Market (ACM). This arrangement among fellow members allows online learners to pay in-state tuition rates for select programs at colleges and universities located outside of their home state. Additionally, students in Oklahoma can access the Online College of Oklahoma (OCO), a useful resource offering more than 3,400 online courses,18 online degrees, and links to colleges and universities for enrollment services. Distance learning provides several benefits. Asynchronous course schedules allow online learners to complete classwork at the time and pace of their choosing, and online colleges typically offer dramatically lower tuition fees to students studying in their home state. Students wishing to supplement their online instruction with hands-on learning may also choose to enroll in hybrid courses, which integrate on-campus requirements, such as labs or lectures, into the curriculum. Other in-person requirements in these programs can include internships, study abroad opportunities, and work-study programs. Oklahoma State’s OCampus offers online degrees, certificates, and open courses to its 35,000+ students. Distance students can choose from 18 undergraduate and graduate degrees through the College of Sciences and Natural Resources, the College of Human Sciences, the Spears School of Business, and the College of Engineering, Architecture, and Technology. Programs include the bachelor of science (BS) in electrical engineering technology, the master of science (MS) in entrepreneurship, a bachelor’s marketing degree completion program, and an MS in design, housing, & merchandising, among others. Nine online certificates are on offer, covering areas of study from business data mining to non-profit management. Students also have the option to pursue individual credit and noncredit courses. Classes are facilitated through the D2L learning platform. Academic support is provided by the same advisors as those on campus, and distance students can access resources including an online writing center. Online students must first apply and be admitted to OSU as a regular student. Northwestern offers several online bachelor degree options, including a BS in accounting or business administration and an RN to BSN nursing program. Of the many Oklahoma online colleges offering bachelor degrees, Northwestern is best suited for students already at the junior or senior levels of their education, since general education classes are not currently offered online. Freshman students would need to take a combination of online and on-campus courses. There is no limit on the number of credits that can be transferred to Northwestern from other institutions. Student with an associate degree can complete the program 100% online. With three campuses serving Northwestern Oklahoma, NOSU is known as an affordable university with lower than average student debt and affordable housing for its in-state students. Its online programs extend the school's academic reach beyond the Oklahoma border, but in-state online students still benefit with an average in-state tuition rate of less than $300 per unit compared to $509 for students outside the state. With seven undergraduate degree programs to choose from in the areas of business, health, and legal studies, Northeastern State University is one of the best online colleges in Oklahoma in terms of bachelor degree options. Classes can be taken 100% online or combined with on-campus learning. Students looking for a purely online experience have access to technical support, tutoring, disability services, and the school's unique "Ask a Librarian" live chat service for research papers and other writing assistance. Originally founded in 1851 as the Cherokee National Female Seminary, the school remains a popular choice for women, who make up more than 60% of the student population. Online students who live near campus have the option of participating in any of the more than 80 student organizations, including four sororities, seven fraternities, and the "Rowdy Crowd," a group that promotes school spirit at sporting events. Based in Tulsa, Oklahoma, Oral Roberts is a well-known, Christian university whose students come from all over the country (most recent enrollments represent all 50 states and 85 foreign countries). It is one of the best online colleges in Oklahoma for students looking for majors with a Christian focus. Among its online bachelor degree options are a BA in Christian Caregiving and Counseling, a BA in Church Ministries, and a BA in Biblical Literature. More standard majors, such as Business Administration, Psychology, and Communications, are also offered in an online format. Several programs, including psychology, biblical literature, and Christian caregiving require completing an 18-unit minor. The accelerated, 7-week pace of classes means online students can earn their degrees in less than four years. This format has students take two classes simultaneously. Online students are invited to partake in the on-campus commencement ceremonies. The school has year-round admissions. One of the top online schools in Oklahoma, East Central University offers undergraduate programs in general studies, nursing, human services counseling, social work, and criminal justice. These programs provide adult learners alternative routes to complete their degrees, with most online courses delivered via the Blackboard LMS. To apply as freshman, prospective students must have ranked in the top 50% of their graduating class, with a GPA of a 2.7 or higher. Admissions might also accept students who score a 20 or higher on the ACT or 1020 or higher on the SAT. Transfer students need a GPA of at least 2.0 across a minimum of 24 college credit hours at an accredited institution. Distance learners at ECU can access the university's student services, which include counseling, a career center, tutoring, and financial aid assistance. Cameron, located in the city of Lawton, is one of the only online colleges in Oklahoma to offer a guarantee. "The Cameron University Guarantee" promises that if any student who graduates from one of their bachelor degree programs is found by a future employer to be unprepared in a core area of their major field of study, additional education will be provided to the student free of charge. This guarantee applies to on-campus students and to students in their two, 100% online BS programs. Online programs include criminal Justice and interdisciplinary studies. The school has 11 bachelor degree programs that are mostly online (with some core classes conducted on campus). All general education classes are available online, and the school offers interactive T.V. and hybrid study options. Free tutoring services are available on campus. Online courses are taught through Blackboard. Rogers State is one of the few Oklahoma online colleges to offer Liberal Arts degrees in subjects such as English and Global Humanities. They have bachelor degree programs in the areas of business and applied technology and were the first university in Oklahoma to offer an undergraduate degree to students through a 100% online program. Rogers State offers associate degrees in applied technology, business administration, liberal arts, and computer science. Currently all programs are only open to residents of Oklahoma. The library can be accessed at anytime and provides access to articles, journals, books and AV material, ebooks, and images. Minors are available on-campus in creative writing, english, humanities, philosophy, Spanish, and technical writing. Students can rent or purchase books through the Roger State Bookstore; it can be accessed online. Rogers prepares its students for life after college by teaching them to be financially literate. Southwestern Christian University offers online bachelor's degrees in business, christian leadership, management, and social services. The school developed these programs with working adults in mind, and instructors teach all courses from a biblical perspective. The christian leadership program prepares students to work in a church, ministry, or social service setting, focusing on developing leadership skills steeped in biblical principles and ethics. The program includes a variety of coursework that covers topics like Bible teaching methods; christian leadership in the 21st century; and death, dying, and grieving. The university’s founders established the university in 1946 as part of the International Pentecostal Holiness Church; the school now serves more than 850 students. Both resident and non-resident students pay the same tuition rate. Oklahoma Wesleyan is connected to the Wesleyan Church, a protestant religious denomination. Despite identifying itself as an evangelical Christian university, non-denominational students are welcome, and it is one of the best online colleges in Oklahoma for students enlisted in the military and their spouses. The school offers several Bachelor degree programs, both 100% online and in a blended campus/online format, including Organizational Management (online), Criminal Justice (online), and Ministry and Leadership (online and campus). Wesleyan has multiple associate and master's programs. Their STEP program helps adult-learners with no, or little college credit earn an associate degree with an accelerated; the degree can be earned in less than two-years. Reduced tuition rates are offered to active duty enlisted personnel. The school's policy of a one-time enrollment for all classes and terms at the beginning of a student's academic career locks in tuition rates for the duration of every student's education. OSU-Oklahoma City delivers a broad range of fully online programs, including seven associate degrees, one bachelor's degree, and several certificates. These programs span a number of fields, including business administration; health science; human services; liberal arts; and science, technology, engineering, and math. To apply for admission, first-time students need a high school diploma or GED, an ACT score of at least 19, and placement into required college-level courses through the COMPASS placement test. Students over the age of 21 do not need to provide their ACT scores, but must hold a high school diploma or GED. Prospective transfer students must submit their transcripts from all colleges or universities previously attended. 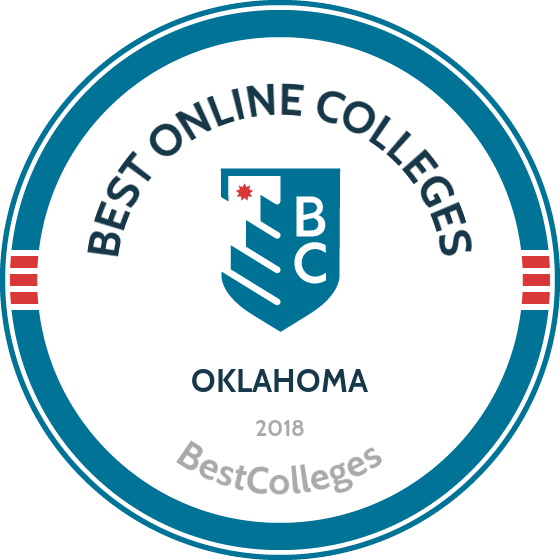 Recognized as one of the top online colleges in Oklahoma, OSU-Oklahoma City receives regional accreditation from the Higher Learning Commission. One of the top online schools in Oklahoma, Randall University continues to expand its distance learning platform. All of its academic programs offer some form of online coursework. For example, students in the school's christian ministry program complete the program entirely online. The program requires students to be at least 21 years old before starting their coursework and gives them a strong foundation in teaching and practicing the essentials of christian spirituality. The program caters to students who feel called to christian ministry. Prospective students must submit their high school transcripts, official ACT or SAT scores, and two letters of reference. Transfer students meet the same requirements, although they must also submit transcripts from any previously attended colleges or universities. Originally established as an agricultural college in 1909, Panhandle State University now offers courses in five areas of study: business and technology, education, liberal arts, science, math, nursing, and agriculture. In 1996, the school's RN-BSN Nursing program was one of the first programs in the nation to make classes completely available to students online. RN students may receive 30 credit hours of upper-division coursework for the completion of an AS or diploma in nursing. It is one of the best online colleges in Oklahoma. The school offers more than 47 online courses that can be applied towards 60 different undergraduate degrees (earned in a blended online/on-campus format) ranging from Accounting to Sociology. Per credit tuition rates are slightly lower than other Oklahoma schools, and all students applying for admission are automatically considered for available scholarships and grants. Transfer students must have minimum 2.0 cumulative GPA. Non-degree seeking students have no prerequisite requirements. Southwestern Oklahoma State services almost 5,000 undergraduate students in Southwestern Oklahoma. In addition to its two campuses in Weatherford and Sayre, Oklahoma, it has a variety of distance learning options for off-campus and out-of-state students, including interactive T.V. (where participants at designated off-campus locations interact with instructors and fellow students through a two-way television set), Webinars, (live-streaming events that take place at specific times, but at any location through the student's computer), and, online learning. As one of the top online colleges in Oklahoma, Southwestern Oklahoma offers four undergraduate degree programs that utilize this distance learning technology. The RN-BSN and BS in Health Information Management are 100% online programs; the BBA in Management is an interactive T.V. program, and the Organization Research BS program includes a combination of online and traditional classes. The school has an average class size of 23 students, making it feel more personal, even at a distance. Southern Nazarene is a private, Liberal Arts University that offers a Christian-focused education taught in short five- to six-week courses in smaller-than-average class sizes. With a maximum of 20 students per class, new students in any of Southern Nazarene's three online bachelor degree programs can get personal attention from instructors when needed. Bachelor's programs include organizational leadership, business administration, and network management; online associate and master's programs are offered. (Nazarene does not guarantee online associate students will be able to complete their degree in the time expected; the online format has recently changed.) Distance learners have the reassurance of 24/7 tech support and online tutoring. Hardware/software issues are easier to solve with a new laptop, which is provided by the school as part of the program costs. Financial aid and scholarships are available to all students, including online enrollees, and a majority of students (85%) at the school receive some form of financial help. Through its iBacone platform, Muskogee's Bacone College offers six online bachelor's degrees and one associate degree. All of these programs constitute part of the business school, with areas of emphasis available in management, accounting, marketing, information systems, and tribal leadership. The school is one of the best online colleges in Oklahoma. The college charges the same tuition for both in-state and out-of-state students, with rates charged on a simple per-credit schedule. First-time students need a high school diploma or GED and must possess a minimum composite score of 19 on the ACT or 920 on the SAT. Bacone College's main campus is located on the banks of the Arkansas River in a close-knit community in northeast Oklahoma. As part of its mission, the school emphasizes diversity and a concern for how people of all ethnic and racial backgrounds live, work, and learn together. Prepare yourself for a successful career by earning a bachelor's degree, which increases both your range of job prospects and your earning potential. If you like, you can specialize further by continuing on with advanced studies once you have your undergraduate degree. By getting your degree at an online school based in your home state, you save money by paying in-state tuition prices and maximize your career opportunities by developing professional networking connections locally through alumni and others familiar with your chosen school. Oklahoma affordable accredited online colleges are ranked below. Ranking are based not on tuition cost alone, but on which programs provide the best return on your investment. Accreditation is crucial because it certifies that you are receiving a quality education, so we have included only accredited schools. A public university with students from 40 states and 20 countries, Northwestern Oklahoma State University offers high quality education at an affordable price. Located in Alva, just south of the Kansas border, NWOSU offers online bachelor’s programs in business administration, accounting, and technical management. The university also offers RN-to-BSN and BSN-to-DNP programs online. Students enrolled in NWOSU’s online programs enjoy access to the university’s tutoring and counseling services. Tuition costs vary for in-state and out-of-state students. Those in online courses must also pay test proctoring fees associated with class exams. NWOSU accepts online students from every state except California and Massachusetts. Starting with just six graduates in 1896, Oklahoma State University currently meets the needs of more than 37,000 students. A leader among teaching and research institutions, the school is known as one of the most affordable online colleges in Oklahoma. OSU offers several online programs for undergraduate and graduate students, including agriculture, computer engineering, and family science. In addition, the university allows students to earn certificates in subjects like business sustainability and information assurance. First-time freshmen must submit an official high school transcript and ACT or SAT scores. Transfer students must submit their official transcript from their previously attended college, but may submit a high school transcript if they earned fewer than 24 college credits. A leader among colleges in Oklahoma for its commitment to high standards in teaching and learning, Southwestern Oklahoma State University offers several online bachelor’s and master’s programs. Programs include nursing, business, education, and psychology. Courses may be delivered through webinars, interactive television, or a blended hybrid format. Potential students are required to submit an online application and either a high school diploma or GED. They must also complete a placement test. Tuition is slightly higher for non-Oklahoma residents. Oklahoma’s oldest institution of higher learning, Northeastern State University boasts a strong connection to the Cherokee Nation and has the largest number of American Indian students of any public university in the country. One of the most affordable online colleges in Oklahoma, NSU offers online bachelor’s degrees in nursing, general studies, and organizational leadership, as well as master’s degrees in fields like American studies, criminal justice, and science education. NSU makes more than 400 online courses available to distance learners. The school offers blended classes that include both online and face-to-face components. The university cannot award online credits to Massachusetts residents. Southern Nazarene University is a private Christian liberal arts institution founded in 1899 as part of the Church of the Nazarene. The school is committed to preparing students for Christian service through higher education. SNU offers online associate, bachelor’s, and master’s degrees. Programs include business administration, network management, and sport management. Courses are generally five to six weeks and require about 15 hours each week. SNU enrolls a maximum of 20 students per online class to ensure robust faculty-student and student-student interaction. Fully online students may enroll in more than one online course each semester, but on-campus students may only enroll in one online course per a semester. Located in northeastern Oklahoma, Rogers State University operates campuses in the Tulsa metropolitan area, Bartlesville, and Pryor. RSU stands out among colleges in Oklahoma for its rich academics, strong sense of community, and innovative online learning programs. RSU was one of the first institutions in the U.S. to offer associate and bachelor’s degrees fully online. RSU offers several online undergraduate degrees, including business information technology and computer science. Students can complete their degree fully online without any campus visits necessary. Students with prior college experience can transfer up to 45 credits toward an associate degree. Because of its low tuition costs, RSU is one of the most affordable online colleges in Oklahoma. Deeply rooted in the Christian faith, Oklahoma Wesleyan University is affiliated with the Wesleyan Church, an evangelical Protestant institution. The school’s online programs accommodate working professionals’ schedules; courses are asynchronous so students can complete classwork anytime and any place most convenient. OWU awards online bachelor’s degrees in fields like criminal justice, psychology, and ministry and leadership. The school also offers five master’s degrees, including strategic leadership, divinity, and education. The university’s STEP Program allows students to earn an associate degree in less than two years through coursework in math, English, business, and humanities. One of the most affordable online colleges in Oklahoma, OWU’s tuition for online and on-campus studies is the same. Cameron University was founded as a high school in 1908 and awarded its first baccalaureate degrees in 1966. Today, the school offers 26 online programs that give learners convenience without sacrificing quality. Some programs are fully online, while others require a combination of online and in-person coursework. CU makes 10 hours of online tutoring available to students through Tutor.com. Online classes require at least one proctored exam per class; students must pay any necessary fees for this proctoring. CU does not currently offer online classes for residents of California, Florida, and Massachusetts. Quality education at an affordable price remains central to Oklahoma Panhandle State University’s mission. The school’s online programs accommodate the busy schedules of working professionals through asynchronous classes. Students can complete coursework and watch lectures whenever is most convenient. Counted among the best colleges in Oklahoma, OSPU offers dozens of online courses and an online RN to BSN program for licensed nurses. Admission to OPSU requires a high school transcript, any college transcripts, and either SAT or ACT scores for those who do not already possess a bachelor’s degree. All students are automatically considered for scholarships when they submit their application. As a state school with low tuition, OSPU is one of the most affordable online colleges in Oklahoma. Committed to a Christ-centered academic environment, Oral Roberts University offers nearly 100 undergraduate and graduate fields of study. The school has students from all 50 states and 90 countries thanks to its unquestionable reputation as one of the most affordable colleges in Oklahoma. ORU offers 18 online programs, including bachelor’s degrees in Christian caregiving and counseling, human resource management, and marketing. In addition, ORU offers an online master of business administration and a graduate special education certificate. ORU tiers its tuition for international students based on their home country’s gross national income per capita. Oklahoma is rapidly developing its technology and communications infrastructure to meet new challenges, and it is not surprising that online and distance education is becoming more sophisticated and widespread throughout the public and private education sectors. Through new initiatives like OneNet, which seeks to expand broadband networks across the state, especially to rural communities, Oklahoma is making great progress towards expanding education opportunities to a wider audience. Demand is ever increasing for online education, and the Online College of Oklahoma, established by the Oklahoma State Regents for Higher Education, reports over 250,000 enrollments since opening its virtual doors in 1998. OCO offers over 3,400 courses and 18 degree-programs online and is a model for career-advancement education. Programs like Reach Higher are designed to help students complete degrees, and distance-learning programs have sprouted up in more than 20 colleges and universities in Oklahoma. These programs are tailored to those who need the flexibility of asynchronous coursework and the convenience of attending classes and completing coursework from any location. Browse our list of the best online colleges in Oklahoma for more insight into distance learning programs in this state. Tuition costs are often a factor in choosing online education, and the cost of tuition has only continued to rise in recent years following state budget cuts, rising 7.1% in Oklahoma (private 4-year sector) from 2006-07 to 2011-12 and 17.3% at public colleges and universities from 2008-14. In 2011-12, average tuition and fees for public two-year in-state was $3,000, four-year in-state was $6,000 and approximately $22,500 for four-year private nonprofit schools. Online education offers at least some degree of compromise, enabling students to continue working as they pursue their degrees, and in the right circumstances could be a financially advantageous choice to students who face economic challenges. Despite these financial hardships and rising tuition, enrollment is on the rise: in fall 2012, 26,420 students were reported to be enrolled exclusively in distance education programs in Oklahoma. Employment growth in this profession is strong in Oklahoma. According to the Oklahoma Employment Security Commission, long term projections show an increase of 18% in the total number of jobs between 2014 and 2024. Wages increased by 14% from 2011-2016. In 2016, what were the top careers in Oklahoma for people who had a degree in business administration and management? Data source: Oklahoma Employment Security Commission, Bureau of Labor Statistics. Data may not be available for every year. Employment growth in this profession is strong in Oklahoma. According to the Oklahoma Employment Security Commission, long term projections show an increase of 34% in the total number of jobs between 2014 and 2024. Wages increased by 6% from 2011-2016. In 2016, what were the top careers in Oklahoma for people who had a degree in registered nursing? Employment growth in this profession is strong in Oklahoma. According to the Oklahoma Employment Security Commission, long term projections show an increase of 64% in the total number of jobs between 2014 and 2024. Wages decreased by 1% from 2011-2016. In 2016, what were the top careers in Oklahoma for people who had a degree in liberal arts and sciences/liberal studies? Employment growth in this profession is strong in Oklahoma. According to the Oklahoma Employment Security Commission, long term projections show an increase of 47% in the total number of jobs between 2014 and 2024. Wages increased by 16% from 2011-2016. In 2016, what were the top careers in Oklahoma for people who had a degree in organizational leadership? Employment growth in this profession is strong in Oklahoma. According to the Oklahoma Employment Security Commission, long term projections show an increase of 31% in the total number of jobs between 2014 and 2024. Wages increased by 18% from 2011-2016. In 2016, what were the top careers in Oklahoma for people who had a degree in accounting?